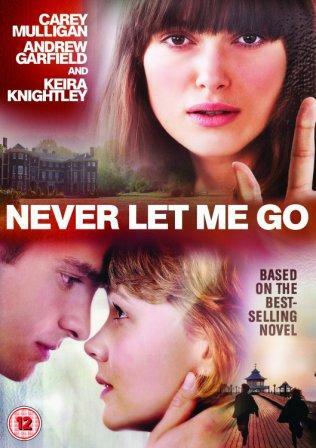 For the Book to Movie Challenge I read and watched Never Let Me Go. I was aware of the science fiction element of this story beforehand and I was eager to see how Never Let Me Go's dystopian world would be created on the page and on screen. This story follows the lives of three children - Kathy, Tommy and Ruth - as they grow together at an English boarding school and then on into adulthood. They do not live normal lives, however, as a terrible fate awaits them. The book is narrated by Kathy and slowly reveals the sci-fi element that shadows, influences, and ultimately destroys these young people. The book is one long run-on memory. Kathy looks back over her life and the events that have stayed with her, the ones that influenced who she turned out to be, the moments that saw her shift from a child to a teenager to an adult. It's a book full of Kathy's inner life; it's her reminiscing and coming to realisations that she missed the first time around because she wasn't mature enough or knowledgable enough to see things clearly when they happened. We meet the rest of the characters only through Kathy's memory. Tommy is thoughtful and kind, but I did not like Ruth at all. She is manipulative and it infuriated me that Kathy herself seemed to hardly notice Ruth's true nature. I found reading this book hard going, and not just because of the dystopian subject matter. The book is written in a strange style - it's an entire narrative of introspection. It does get a bit repetitive at times as Kathy is constantly trying to make sense of everything that happened to her and she often goes back over events in far too much detail. 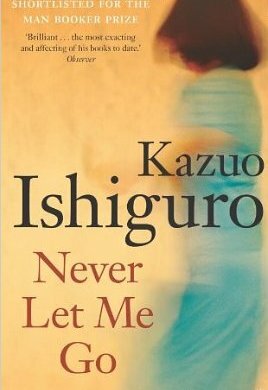 Ishiguro does succeed in portraying the oppressed and restricted life of Kathy, but I wasn't a big fan of his style of writing. The sci-fi element of the book was quite subtle, even though it was always hanging around in the background. It soon becomes obvious that Kathy and her friends are little more than lab rats, but I never really came to understand the gritty details of how this process works. Ishiguro's narrative is so focussed on Kathy's thoughts and her perspective on the actions of herself and others, that the science behind their lives takes a backseat. The book's blurb mentions a love triangle which does occur, but the book is actually about a lot more than that. It's about human rights. It asks the question - if your life is predestined should you be allowed to live a normal life up until your destiny is fulfilled? Never Let Me Go is a complex story with a harsh theme on the fragility of life and the power that others can hold over us. It's also a tragic story of lost opportunities. All in all, a very sad book indeed. I enjoyed the film much more than the book. While I'm not a Keira Knightley fan, I do have an admiration for both Carey Mulligan and Andrew Garfield who were both superb in their roles as Kathy and Tommy. As I said in my review of the book - I didn't like Ruth at all, and watching the film only further cemented that view of mine. I felt very little sympathy for Ruth, nor did I believe her jealousy was enough reason for her to do what she did to keep Kathy and Tommy apart. The film is much more open about the love triangle. Kathy clearly loves Tommy in the film, whereas in the book her feelings are left unexplored until the end (even by Kathy herself it would seem). I much preferred the directness of the film. The movie is a love story first and foremost. It still deals with the complex themes of the book, but it does so looking through a love story lens. The book's major plot points were kept in the film, but they removed a lot of the padding. I loved this, as I felt the book rambled on at times. Credit goes to screenwriter Alex Garland for his succinct telling of the story. It's an emotional movie, one that had me crying at the end. The wonderful acting coupled with the beautiful, yet haunting, music served to create a rich experience for me. I was able to really immerse myself in the story - something that I didn't manage to do so deeply while reading the book's introspective narration. I thought the film did a much better job at spelling out the real point of the story - that no matter how long a life you are given we all long for a happy life, and we all deserve one. Every time I read a review of this story, I'm intrigued. It's too bad they don't flesh out the science though! I really like world development so I think I'd miss that element.